I left Houston at 10 am. My thermometer says it's 101 F outside, but the radio says it’s only 85. Lunch at Sonic and refueled at noon. Dr. Pepper is a local brand (Plano, TX). It must be hard to hitchhike when you're 30 ft tall. Definitely more interesting stuff on the side of Texan roads: boots, sandals, and a dollhouse. Well, that and seven dead armadillos, 5 possums, four racoons, a couple of squirrels and dogs, maybe a coyote, and the legs and ribs of a deer. That's not counting the 10 other unidentifiable things I saw between 4:30 and 5:15. Blue sky and the open road, this is nice. Now it's starting to feel like Texas. Dinner was something forgettable near Quanum, TX. 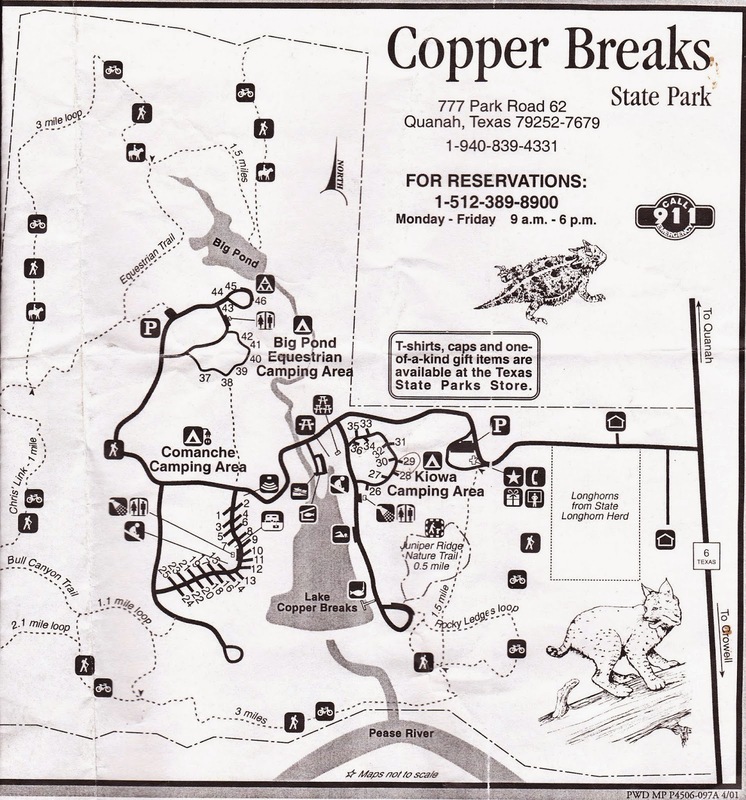 I arrived at Copper Breaks State Park at 7:50 and immediately set about getting the tent set up. Not a bad place for a $10 overnight fee. But it was still 91F. The sunset make the clouds turn pink!